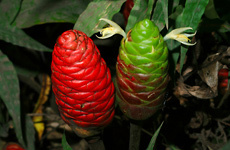 Photos, links, and information about Hawaiian wild plants and animals. 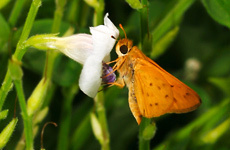 Because of its remote, isolated location in the middle of the Pacific Ocean, Hawaii has an unusually high proportion of endemic species. 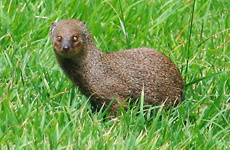 Endemic species are native to only one place in the World. 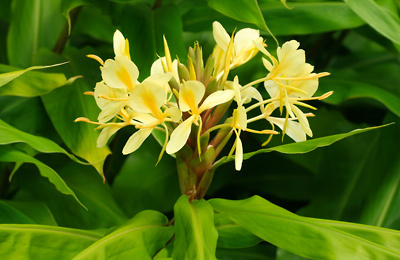 Many Hawaiian endemic species are now endangered or even exinct due to the proliferation of harmful introduced species like rats and mosquitos. The only terrestrial mammal native to Hawaii is the Hawaiian Hoary Bat, all other land mammal species here were introduced by humans. In contrast, all marine mammals found here in Hawaii are native. 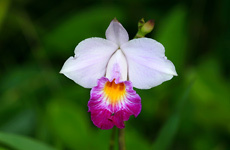 Hawaii has no native species of terrestrial reptiles or amphibians. All now found here were introduced. However, it does have native marine reptiles (sea turtles and sea snakes). The are no terrestrial snakes in Hawaii, and in the ocean, sea snakes are only rarely seen here. 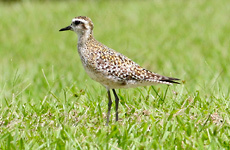 Wildlife of Hawaii features photos, links, and information about Hawaiian wild animals and plants. 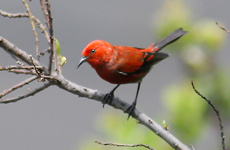 Hawaii has an interesting mix of species, many of which are endemic to Hawaii and many others that were introduced here from all around the World. I have recently moved to Hawaii and am in the process of learning about and photographing its wildlife for future use on this site as well as for my nature journal. 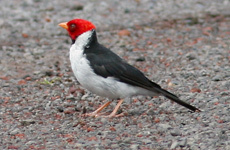 I have discovered that there are many helpful online resources available for help in finding and/or identifying Hawaiian wildlife, and I have listed my favorite ones here. I hope that you find them useful!